Stratification of soil is nothing but the arrangement of the different layers of soil based on similar properties. In general, natural soil deposits are formed in a stratified manner. 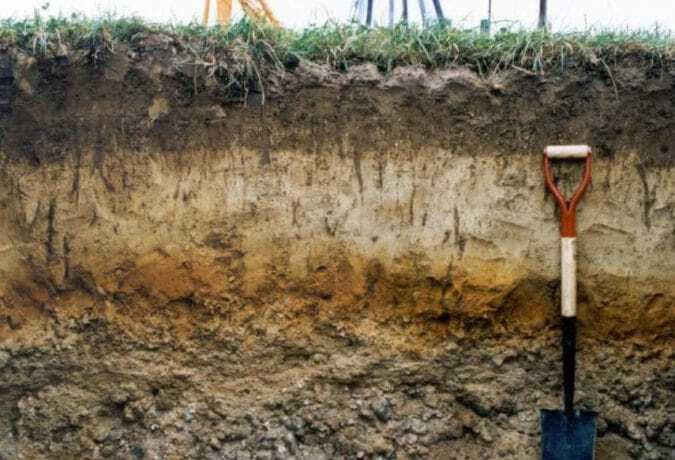 The permeability of stratified soils or layered soils is explained in this article. In stratified soils, it is assumed that each individual layer is homogeneous and isotropic. The coefficient of permeability of each layer is different from other layers. So for these type of soils, the average coefficient of permeability for whole soil deposit is to be determined. 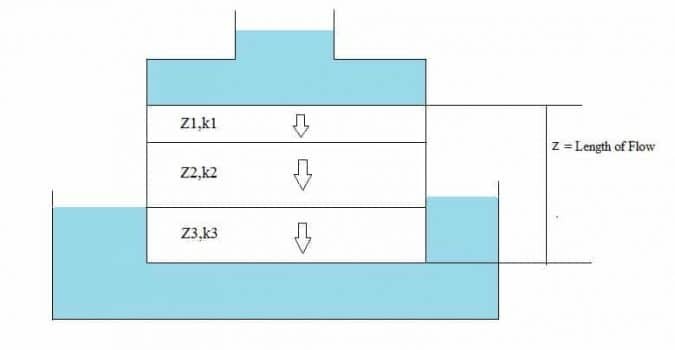 For both the cases, assume a stratified soil mass of 3 layers whose thickness are Z1, Z2 and Z3 with coefficient of permeability values K1, K2 and K3 respectively. Let Q be the total discharge through soil deposit and q1, q2 and q3 be the discharges of individual layers. We know discharge is the product of area and velocity. Assume Area of each layer as A1, A2, and A3. Area of entire soil deposit by considering width of soil layer as unity. From Darcy’s law, velocity is the product of the coefficient of permeability (k) and hydraulic gradient (i). When the flow is parallel to the bedding planes, Head loss (h) is constant for all layers hence the hydraulic gradient is constant for all the layers. Let kH = be the Average horizontal coefficient of permeability for entire soil deposit. 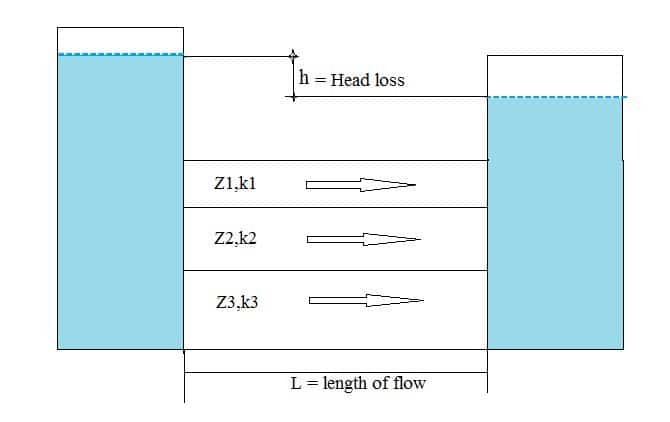 We know i = h/Z, Since Z is the length of flow in this case.